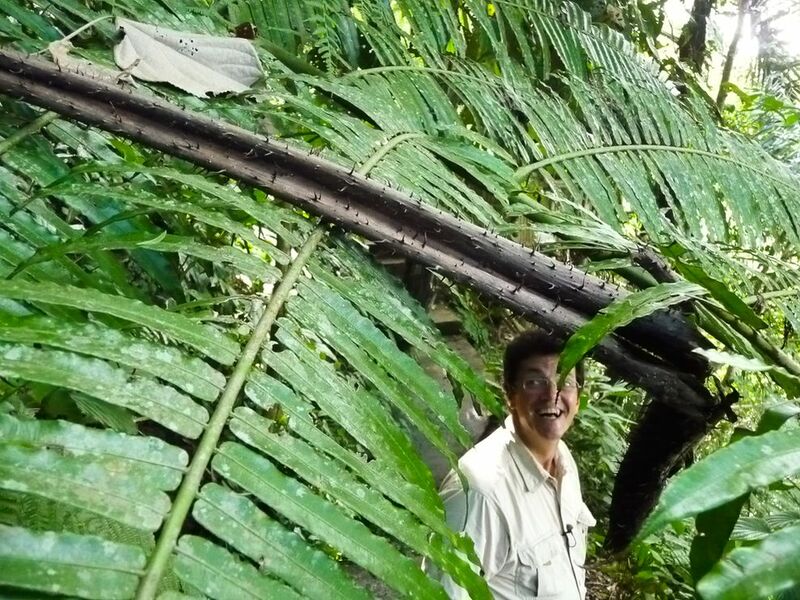 Scientist Willie Smits believes that the Arenga sugar palm may be the key to protecting tropical forest in Indonesia while providing opportunity for villagers through a unique process of biofuel production. ECO – HOUSING: What, Where n’ Why ? What is Eco Housing ? 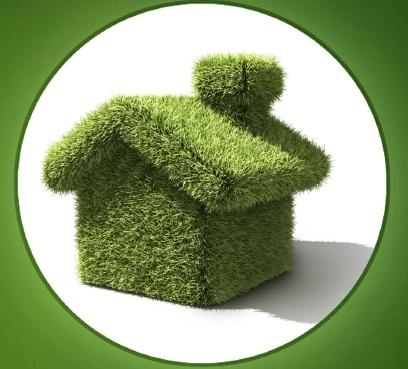 Eco Housing is the practice of increasing the efficiency with which buildings and their sites use and harvest energy, water, materials, and reduce building impacts on human health and the environment through better siting, design, sustainable construction practices, lowered use of natural resources, operation, maintenance, and removal — the complete building life cycle. Where and Why is it useful ? Buildings significantly alter the environment. Different activities like design, construction, extraction, production, maintenance, demolition, disposal of building materials have caused a tremendous impact on our environment and our natural resources over the last few decades. Environmental performance must be balanced against economic performance. So a dire need of identifying environmentally and economically balanced building products, and all the more designing an assessment system focusing on eco-building materials, has surfaced up, which needs to be attended to immediately. Planning meals ahead of time not only helps you save money on groceries, but it will prevent leftovers from going bad. Plan for a week or for as far out as a month. Don’t wrinkle your nose. Often, people shower (or bathe their kids) every day whether they need to or not. Before hopping in out of habit, think about whether it’s really necessary. This goes along with the showering thing. Just like your jeans see days of wear before they hit the washer. (When they’re clean of course.) Wash clothes only when they’re dirty to lower water and electricity usage. Try to avoid drying clothes in the dryer, rather hang them in balcony or veranda, it helps reduce electricity consumption and save you money. And it also helps clothes last longer. Avoid food and other products with lots of packaging. Buying in bulk helps a lot since you won’t have individually wrapped things coming into your home (It’s great for your budget, too!) If eating out, take along a reusable container for leftovers so you don’t have to bring home a wasteful container from the restaurant. Many veggies are shipped long distances, using lots of fuel just to get to your grocery store. Start a simple garden to reduce dependency on grocery-store produce. Most of the herbs for sale in our area come packaged in plastic boxes. Grow some of your favorite herbs in a sunny windowsill so you can add flavor to your food without extra waste. You know how when you’re done de-cluttering, you have a ton of stuff lying around your house that you need to get rid of? Rather than throwing it away (some people do that! 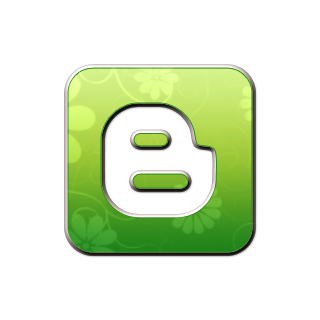 ), give it away to recycler/s to spare a landfill and make some money from your excess stuff. Make an effort to stay at home more and drive less. Walk, bike or use public transit if possible to reduce your contribution to air pollution. Smart-way to keep our environment clean and green, use of re-usable bags while grocery shopping. 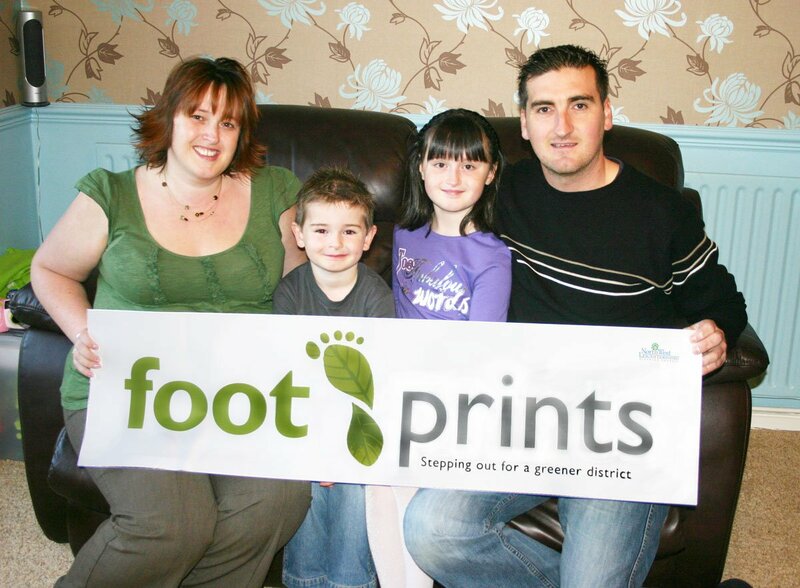 Keep the environment neat and clean is the hot topic that is under consideration today. The world is trying to take necessary measures to keep the environment friendly. The UN started a United Nation Environment Program (UNEP) for the whole world as there are a lot of problems being faced. Member countries are conducting conferences and meetings to create awareness in public. UNEP was observed first time in 1972 and 5th June is celebrated as the World Environment Day. Mongolia is going to host this event in the year 2013.There are so many challenges associated with these problems and member countries are trying to manage these challenges. Global warming, unavailability of clean water, diseases caused by pollution and noise are some of them.. They have taken bold steps to keep the environment friendly even that resulted in a high cost to the stakeholders. The most amazing thing is that people are also taking interest in these activities and are well aware about the importance of keeping the environment neat and clean. 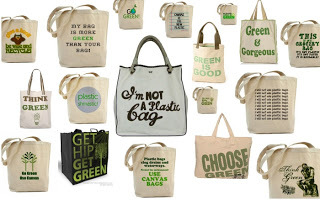 Plastic shopping bags have been the most notorious product in the last few years. Environment conscious analyses are available which shows these bags as the basic cause of numerous problems. These are responsible for choking sewer, open drain system, spoiling sanitation and creating an overall unenthusiastic view of the environment. A decision was made to burn these plastic bags but this step causes damage to the environment. They produce dioxins and furans in the process of burning which is excessively and extensively inhaled by human beings. Dioxins and furans are the root causes of different problems just because of their high toxicity. International environment standards recommend these two elements should be absent from the air. Polythene is the raw-material which is non-degradable in nature, the plastic bags continue to be present in the environment and delivers their undesirable effects for a very long period. They are mostly visible in the urban areas due to their excessive use in cities. Effective research and development resulted in a solution to this issue with the help of reusable grocery bags. Government institutes and enterprises are encouraging the use of these bags. Leading departmental stores have stopped providing traditional plastic bags. 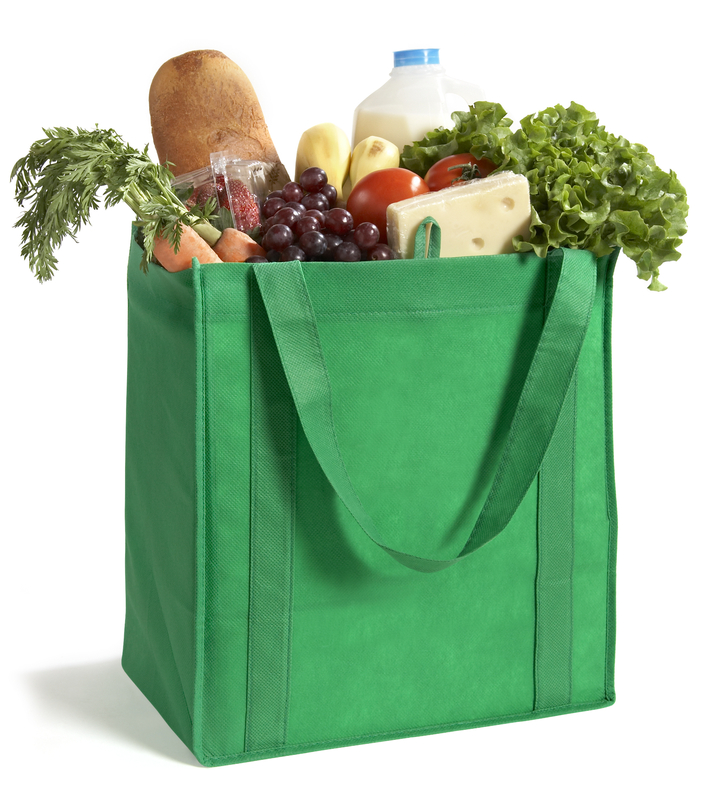 There are a large number of grocery bags, produced in different styles, sizes and stuffs. Users can take these bags for a long time and helpful for carrying heavy items as well. Users can fold these bags without occupying additional space. These are marked as environment friendly. This is the responsibility of government, NGOs and enterprises to promote them in true spirit. It is a smart way to keep our environment clean and green. Natural Enviromentalists: 6 animals take “reduce, reuse, recycle” to the next level. Most animals live in a delicate ecological balance with their natural surroundings. It’s simply the most efficient formula for survival: Take only what is needed, and waste as little of it as possible. But a few animals take “reduce, reuse, recycle” to the next level. It’s a good thing, too: Someone needs to help clean up the mess that so many humans leave behind. 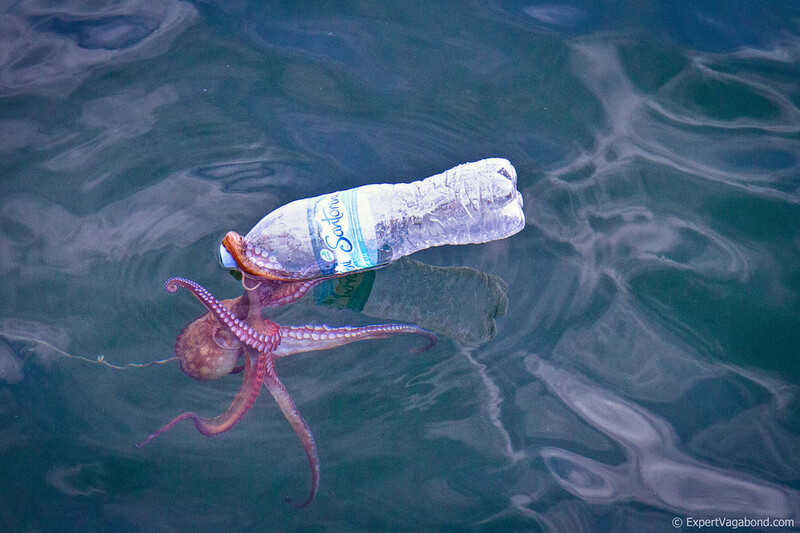 Here’s our list of six animals that are nature’s extreme recyclers. Perhaps nature’s greatest recyclers are birds. 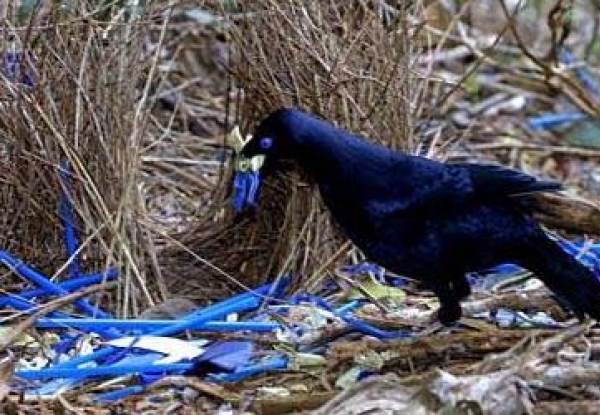 Many urban species have adapted to life in human environments by building their nests with whatever is available, which often includes anything from discarded string and newspapers to paper clips and plastic. Birds like pigeons and gulls also take advantage of all the food waste that is left behind by people, gobbling up what they can. As a crab grows, it must often seek out new shells that provide a better fit. In this way, these cute crustaceans are constantly recycling dwellings that would otherwise go to waste. Hermit crabs don’t grow their own shells, so to protect themselves they have to salvage shells abandoned by other sea life, usually from sea snails. But really they’ll use whatever they can find, which often includes glass bottles, cans or shotgun shells. 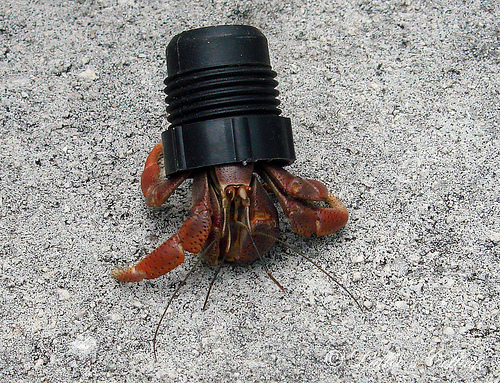 People who keep hermit crabs as pets also have the option of providing them with artificial shells, which can be made from recycled materials. All spiderwebs represent remarkable engineering feats, but few match the eco-friendly design showcased by some orb-weaver spiders. Take for instance the species Cyclosa ginnaga, which decorates its webs with whatever debris it can find, such as leaves and twigs. Though the ultimate purpose of the decoration is rather sinister (for luring in prey, or for concealing the webbing), this spider’s eco-cred is still worth noting. 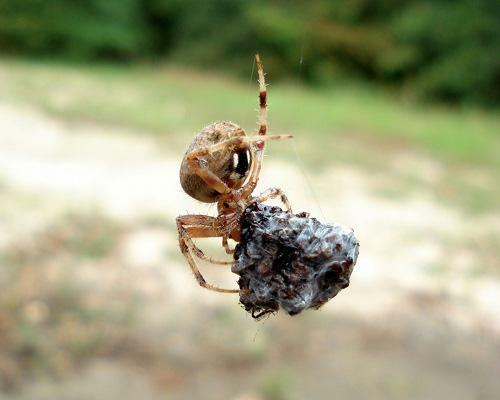 Many orb-weaver spiders rebuild their nests every day, so they are always busy recycling. This helps keep both their webs and their surrounding environment clean. 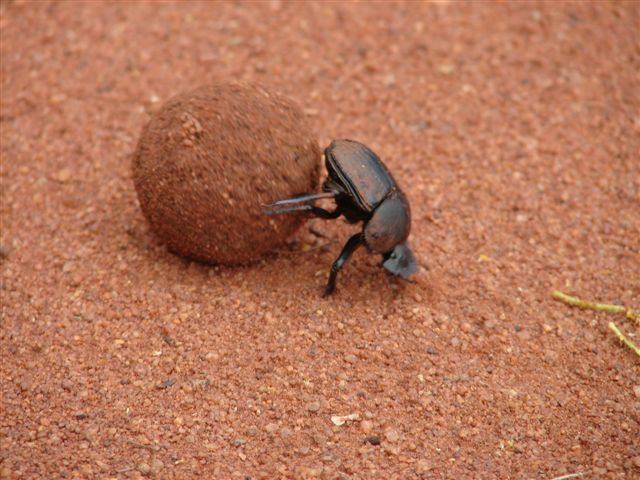 Many dung beetles are actually referred to as “rollers,” since their waste-collection strategy is to roll excrement into balls so that it can be easily wheeled away. It’s a dirty job, but somebody’s got to do it. Yes, even poop is too valuable a resource to let go to waste, and perhaps no animal understands this better than the dung beetle. This insect lives to collect and repurpose your poop. Not only do dung beetles build their homes out of feces, but they also eat it and lay their eggs in it. Octopi are probably the smartest invertebrates on the planet, and nothing quite displays their cunning as much as their tool use. Several species, such as the veined octopus, have been seen building shelters out of discarded debris. These makeshift homes are built from anything found lying around, from cracked coconut shells, to abandoned sea shells, to glass jars and other containers thrown away as trash. It just goes to show that one creature’s waste is another creature’s treasure. It has been estimated that 75 percent of all coral reefs around the world are threatened, but there is also reason to hope. Though sensitive to variations in their environment, these animals are also remarkably adaptable in that they are willing to attach themselves to just about any hard surface they can find. This includes shipwrecks, undersea pipelines and even oil rigs. 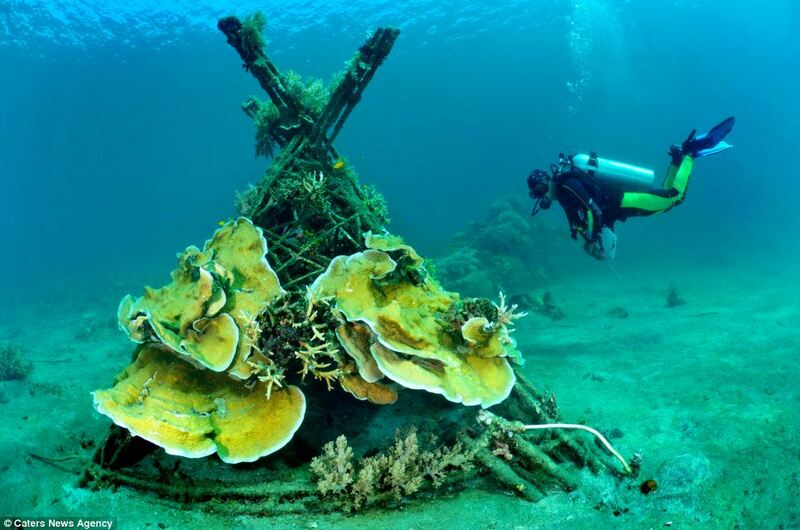 By repurposing wreckage on the sea floor, they also provide habitat for the countless other species that rely on the ecology of coral reefs for sustenance. are you looking for a job..? – There you have it — 7 jobs that should survive and thrive in this economic slump. While factory workers building cars are losing sleep these days, those lucky enough to be on a wind-turbine line are getting a solid eight hours of sleep a night. Wind power is the fastest-growing source of energy in America and all those turbines need to be built by someone. 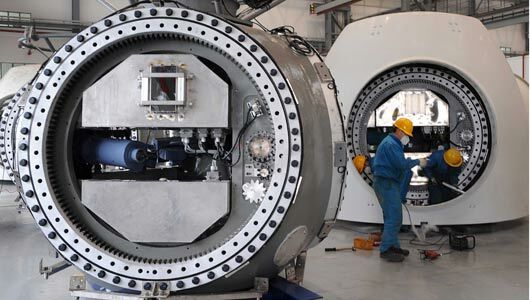 Modern turbines are highly engineered machines and require hundreds of hands to get from blueprints to installation. With wind power showing no signs of slowing down, building wind turbines is a great (and secure) way to pay the mortgage. Energy auditors are on the front lines in the war against inefficiency. They’re responsible for evaluating the efficiency of heating and cooling systems as well as the insulation and weatherproofing of homes and businesses. They look for air leaks, missing or incomplete insulation, and make suggestions about the steps necessary to fix problems. Energy auditors often follow up by doing the actual weatherization work, fixing the problems they find in the audit. It’s a life of crawling around basements, caulking gaps between windows and running full-home air-leak tests. Once a wind turbine is built in the factory and erected in a wind farm, someone needs to keep it tuned. Turbines are basically giant motors that come complete with all the complexities of a typical modern car. You bring your car to an auto mechanic; wind mechanics have to bring themselves to the turbine. 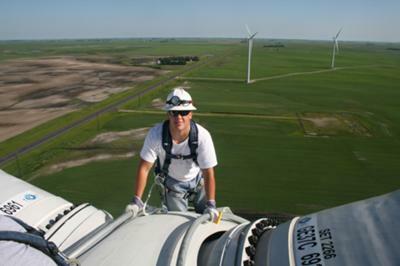 Keeping the turbines tuned and in good operating condition makes good business sense for the wind farm owners (inefficiency bleeds dollars), so it’s not hard to see how being a wind-turbine mechanic is a great way to keep working until retirement. Solar-panel installers spend a lot of time on roofs. They’re part carpenter, part electrician. 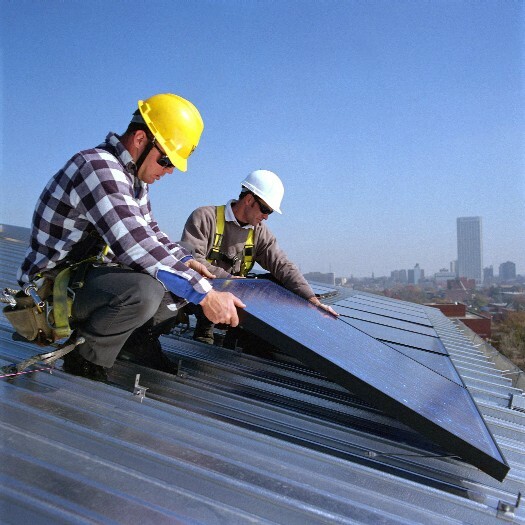 They roll up to a jobsite for the few days it takes to properly install a solar system and angle and position the panels in the right place, connecting them into the building’s power lines. It’s hands-on work that’s good for anyone wanting a tan on the back of his or her neck. There’s been a lot of talk of upgrading our nation’s energy grid and generation system. It’s a good bet that solar installers will be one of the more stable jobs as we climb out of this economic hole. It’s not too much of an exaggeration to say that the housing market is in the crapper. After its bubble burst, countless construction workers and home builders suddenly found themselves without work. When no one’s buying homes, no one’s building them, either. That is, unless you’re green. 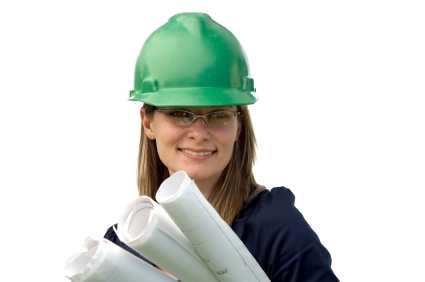 Environmentally hip builders have been able to keep their job sheets filled and their employees on the books. Some of this admittedly is because there are so few qualified green builders relative to the overall industry, but the fact remains that demand for efficient buildings is going nowhere but up. 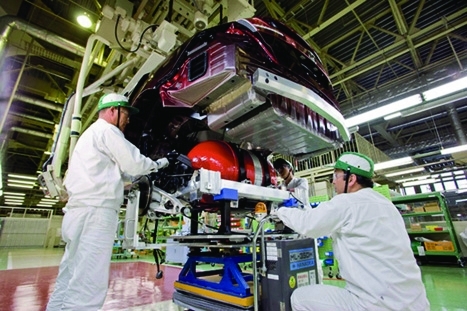 Hydrogen fuel cells are thought by many experts to be the way we’ll power the cars of tomorrow. They’re an efficient way of storing energy and are clean to boot — the only emissions they produce are water. If tomorrow’s cars will be powered by fuel cells, we’re going to need a lot of engineers today to help us get there. If the past decade has been the domain of the financial engineer, the next 10 years will be the era of the green engineer. Graduates of engineering schools who come out with focuses in fuel-cell technology will find themselves recruited and swooped up by companies like first-round picks in the NBA draft. Say No to Concretisation, let our “Mother Earth” breath. Concretisation of Trees space, leads to death of Our Friends (trees) and Our (We, My Children & Grand Children) Future. The concretisation of trees in city has been an ongoing process, not necessarily as a result of any planned strategy to damage, fell or reduce the number of trees in city, but large as a callousness and ignorance of city people towards the needs and rights of our tree friends. Concretisation is a fiscal drive. It is a fact that each bit of soil is being covered in different parts of the the city, be it in the residential colonies, on the main avenues or even in institutional areas and campuses etc. One probable reason for this high rate and pace of concretisation activity is that each square feet of concretisation entails a particular charge/ rate by the civic agencies involved. Thus, with more concretisation, more money can be made by the contractor and even the agencies involved in the concretisation process. Then, there is the added pressure from the corruption that is plaguing our society today, which is also known to be manifested in this form. More area under concrete implies more money. The Myth, Loose soil in city is understood as an unnecessary cause of dust in people’s house. Nothing however can be far from the truth. The dust in City’s air is largely a result of the desertification of city, which is again a result of the cutting and felling of large number of trees. Unaware of this fact, city people think or equate soil with dirt and germs and for them loose soil is also a big waste since it makes for very bad parking space. Where is it needed the most ? It needs to be noted that in reality, choosing the concrete way is usually very expensive and used only at places where there is heavy vehicles movement, e.g. roads and highways. At the same time, leaving areas without concrete often requires it to be maintained with greens and trees, for which no one seems to have the consideration or the patience. Also Read: DECONCRETISATION not possible without People Support. ORGANIC SPIRITS: made with respect from Seed to Glass. WHY ORGANIC & HOW DOES IT MATTER ? Introducing Square One Organic Vodka, the world’s first certified organic rye vodka. Square One vodka is handcrafted from 100%-certified organically grown rye and produced with an unprecedented organic fermentation process. The resulting spirit is richer and smoother than any vodka on the market. Flavours: Square One Cucumber & Square One Botanical. VeeV is uniquely different. The 60-proof alcohol isn’t quite a vodka, but isn’t quite a liqueur, either. Rather, it’s a unique spirit made from wildly harvested Brazilian açai (pronounced ah-sah-EE) berries and organic winter wheat grain. Flavours: Organic Cosmopolitan, Organic Lemonade & Organic Margarita. UK5 Organic Vodka’s ingredients are derived from a 30-year-old organic farm in Germany. The purer a vodka, the better it is. That is why UK5 Organic Vodka uses only the worlds purest water and the world’s finest organic grain which has a denser cell structure perfect for making premium vodka. Other organic vodkas boast only one filtration to heighten flavor. UK5 Vodka, on the other hand, remains unfiltered due to the quality of its organic ingredients and the pure water used during the distillation process. UK5 is the world’s only entirely unfiltered organic vodka. Founder: The Organic Spirits Co. Crop Harvest Earth Vodkas are USDA certified organic, artisanal vodkas produced from grain grown on America’s plains. Crop organic grain is harvested from fertile, healthy soil free of artificial fertilizers, pesticides and chemicals, and Crop Vodkas are distilled so efficiently that no carbon treatment or charcoal filtering is required. Green-o-Meter: Crop’s carbon footprint is smaller because it is distilled so efficiently that no carbon treatment or charcoal filtering is required – thereby saving resources and energy. Crop uses only USDA certified organic grain. Crop Vodka help support a healthier environment by protecting our streams and lakes from run-off of toxic pesticides and chemicals and helping to maintain soil integrity and productivity. Flavours: Crop Organic Artisanal Vodka has a refreshingly crisp, clean, pure taste. Our Crop Organic Cucumber Vodka captures the essence of freshly sliced cucumbers while our Crop Organic Tomato Vodka perfectly conveys the flavor of a vine-ripened tomato. Our Crop Organic Meyer Lemon Vodka strikes a delicate balance between the sweet and tart flavors of this unique fruit. Prairie Organic Vodka is certified kosher and organic by the USDA. Prairie requires that the entire process, from the field all the way to the shelf, be free of synthetic chemicals, pesticides and genetically modified seeds and enzymes. Crafted in Benson, Minnesota, Prairie Organic is micro-distilled from organic, yellow corn. The leftover corn cobs are gasified to provide energy for the stills. How to “getgreen” at workplace ? A greener workplace can mean a lighter ecological footprint, a healthier and more productive place to work, and good news for the bottom line. Whether you’re the boss or the employee, whether your office is green already or still waiting to see the light, some practical steps can lay the groundwork for a healthy, low-impact workspace. For many people, a computer is the central tool at work. Optimizing the energy settings for computers and other devices can be more than a modest energy saver. Set computers to energy-saving settings and make sure to shut them down when you leave for the day (“standby” settings will continue to draw power even when not in use). By plugging hardware into a power strip with an on/off switch, the whole desktop setup can be turned off at once (make sure to power down inkjet printers before killing the power–they need to seal their cartridges). Printers, scanners, and other peripherals that are only used occasionally can be unplugged until they’re needed. And of course, turn off lights in spaces that are unoccupied. Say no to paper …Get Digital !! It does seem a bit strange that in the “digital age” we still consume enormous amounts of mashed up, bleached tree pulp, most of which gets used once or twice and then tossed or recycled. The greenest paper is no paper at all, so keep things digital and dematerialized whenever possible. The more you do online, the less you need paper. Keep files on computers instead of in file cabinets. Review documents onscreen rather than printing them out. Send emails instead of paper letters. Indian workers spend an average of +100 hours every year commuting through rush hour traffic. This adds up to 23 billion gallons of fuel wasted in traffic each year. We can ease some of this strain by carpooling, taking public transport, biking or walking. If there’s no good way to phase out your car, consider getting a hybrid, electric vehicle, motorcycle, scooter. Some paper use can’t be avoided, so use recycled paper and envelopes that have been processed and colored using eco-friendly methods. Pens and pencils can also be made of recycled materials, and refillable pens and markers are preferable to disposable ones. Use biodegradable soaps and recycled paper or cloth towels in the bathroom and kitchen, and provide biodegradable cleaners for the custodial staff. Buy in bulk so that shipping and packaging waste are reduced, and reuse the shipping boxes. Recycling printer cartridges is often cost less, and recycled replacements are cheaper than new ones. Greening the space in which you work has almost limitless possibilities. Start with good furniture, good lighting, and good air. Furniture can be manufactured from recycled materials as well as recyclable. Incandescent bulbs can be replaced with compact fluorescents (CFLs) and there is an ever-growing selection of high-end LED desk lamps that use miniscule amounts of energy. Not only is natural daylight a free source of lighting for the office, it has been proven to improve worker productivity and satisfaction (as well as boost sales in retail settings). Workspace air quality is also crucial. Good ventilation and low-VOC paints and materials (such as furniture and carpet) will keep employees healthy. When buying printer paper, look for recycled paper with a high percentage of post-consumer content and the minimum of chlorine bleaching. Even recycled paper gobbles up a great deal of energy, water, and chemical resources in its processing. When using the real stuff, print on both sides of the page when appropriate and use misprints as notepaper. Try to choose printers and photocopiers that do double-sided printing. If your office ships packages, reuse boxes and use shredded waste paper as packing material. Work From Home… give it a try..!! Instant messaging, video conferencing, and other innovative workflow tools make effective telecommuting a reality. If you can telecommute, hold phone conferences, take online classes, or otherwise work from home, give it a try. It’ll save you the time you would have spent on the trip as well as sparing the air. Also, consider the possibility of working four ten-hour days instead of five eight-hour days (a consolidated workweek), cutting the energy and time spent on commuting by 20%. Bringing lunch to work in reusable containers is likely the greenest (and healthiest) way to eat at work. Getting delivery and takeout almost inevitably ends with a miniature mountain of packaging waste. But if you do order delivery, join coworkers in placing a large order (more efficient than many separate ones). Also, bring in a reusable plate, utensils, and napkins. If you do go out for lunch, try biking or walking instead of driving. Share these tips with your colleagues. Ask your boss to purchase carbon offsets for corporate travel by car and plane. Arrange an office carpool or group bike commute. Ask the office manager to get fair trade coffee for the break room and make sure everyone has a small recycling bin so that recycling is just as easy as throwing paper away. Ask everyone to bring in a mug or glass from home and keep some handy for visitors so that you reduce or eliminate use of paper cups.